1969 was a huge year for Nissan. Not only did it signal its intent to become a player in the sports car market, it did so by introducing not one, but two sports cars in the same year. History will always remember 1969 as the year the legendary Nissan Skyline GT-R and the iconic Nissan 240Z burst into the scene. 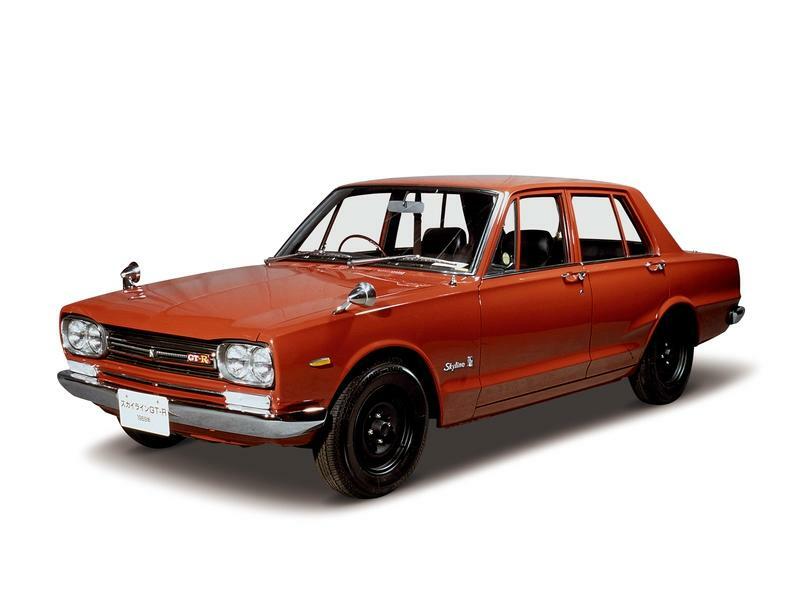 The Skyline GT-R was released first in February of that year, followed by the 240Z in October. 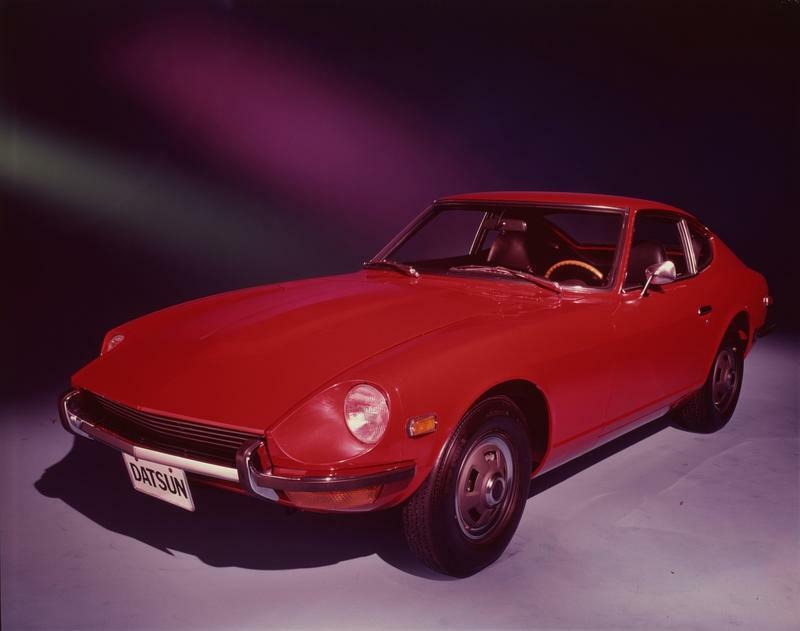 Whereas the Skyline GT-R actually traces its roots to the line of compact cars created by Prince Motor Company in 1957, the 240Z was an all-new model. 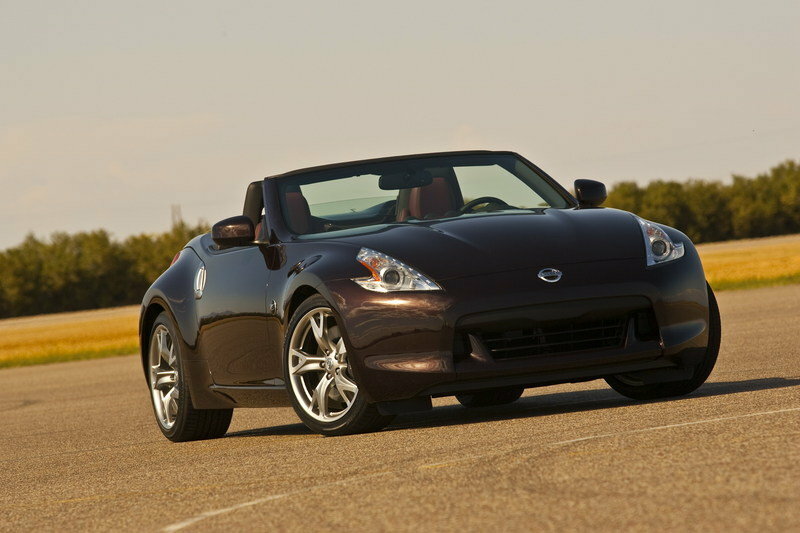 Either way, both sports cars created Nissan’s sports car identity. That identity has changed over the years — the Skyline GT-R and the 240Z have taken different paths, too — but one thing — or is it two things? — has remained constant since then. 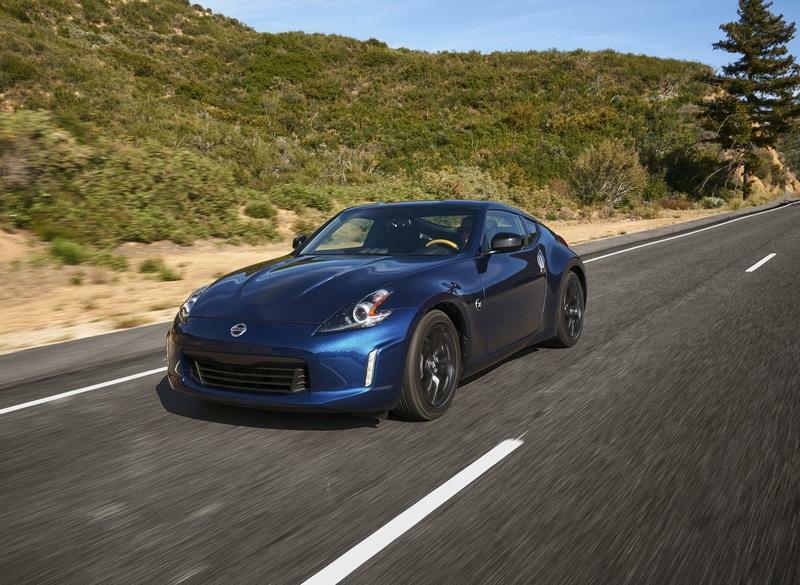 The lineage of both sports car lines remains intact, at least for now. Fifty years later, the Nissan Skyline GT-R’s banner is proudly carried by the Godzilla himself, the current 570-horsepower Nissan GT-R.
It’s deviated away from the “Skyline,” in part because Nissan’s premium brand, Infiniti, now uses the name in the Japanese market for the model we know in the U.S. as the Infiniti Q50. Still, there’s no confusion about where we can trace the GT-R’s lineage. 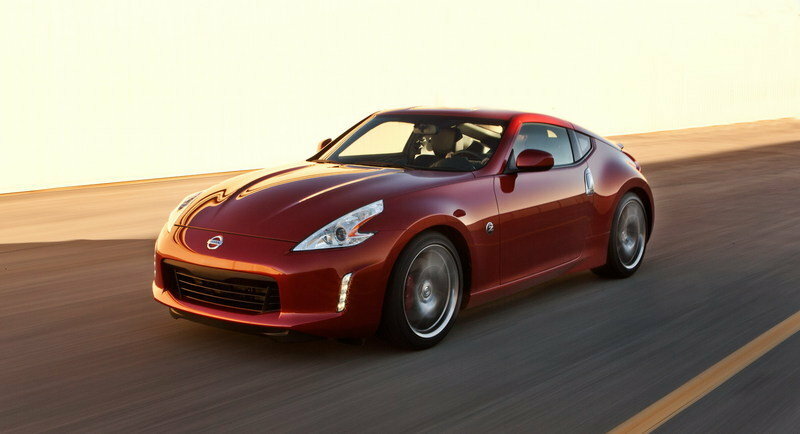 On the other hand, the Nissan 370Z’s family tree is a lot more straightforward. 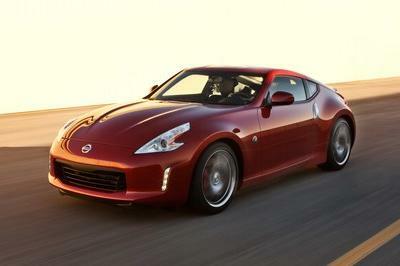 The current sixth-generation model traces its roots directly to the 240Z. Whatever paths both cars have taken, the legacy of the Nissan Skyline GT-R and the Nissan 240Z still lives on to this day with the current GT-R and the 370Z. 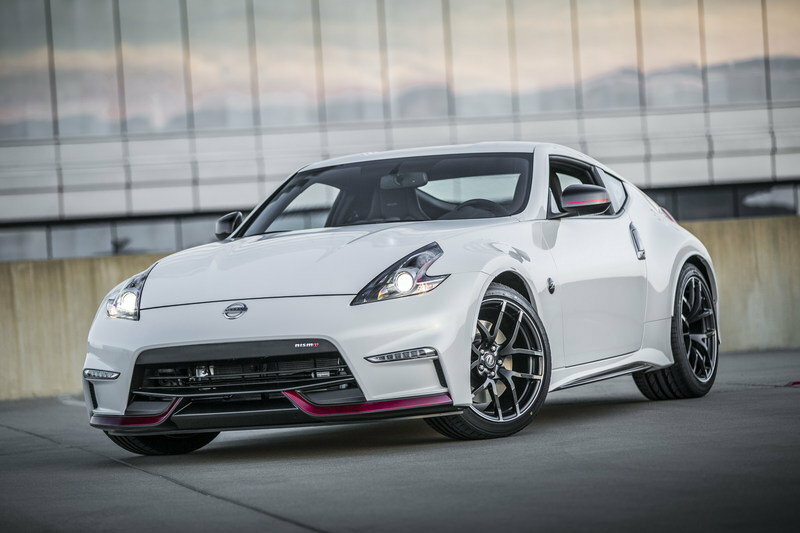 That’s why, as Nissan celebrates the 50th anniversary of both performance cars this year, we can expect to see a pair of 50th-anniversary models grace Nissan’s stand in the Big Apple when the 2019 New York Auto Show opens its doors in April. The teaser image hints heavily at that, too. Of the eight models in the image, the four models sitting on top of the lifts are the ancestors of both lines. A 1970 240Z sits on the far left, followed by a 1990 Skyline GT-R Group A racer wearing the JTC Calsonic livery, a 1972 Skyline 2000GT-R, and a 1995 NISMO GT-R LM Road Car. The cars below them are less obvious, in part because they’ve been darkened for surprise purposes. But we do see a few details, including what looks to be a current Nissan GT-R wearing the glorious blue Calsonic livery. Baller. Then there’s the car below the 1972 Skyline 2000 GT-R. It’s the most curious of the four cars in the bottom of the lifts because it bears a striking resemblance to the GT-R50 by Italdesign. 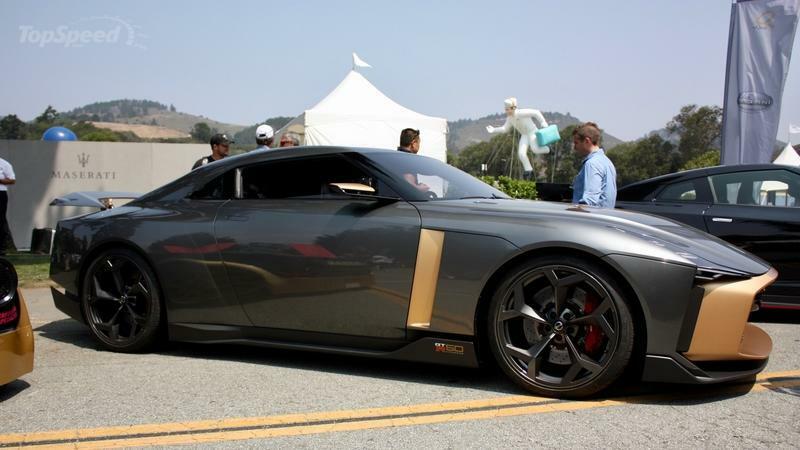 Introduced in June 2018, the GT-R50 by Italdesign was built to commemorate the 50th anniversary of Nissan and Italdesign. 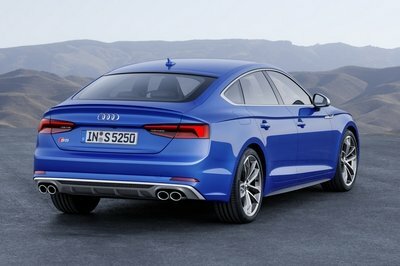 The special edition model was initially developed and engineered by the famed auto design house as a one-off prototype. But the one-off was so well-received that Nissan decided to build 50 units of the highly customizable version of Godzilla. It’s hard to make out the exact look from the teaser, but if you look at the image from a certain angle, you can see the unmistakable gold vertical accent — the color is called “Energetic Sigma Gold,” which offsets the “Liquid Kinetic Gray” paint finish of the body — from just behind the front tires. 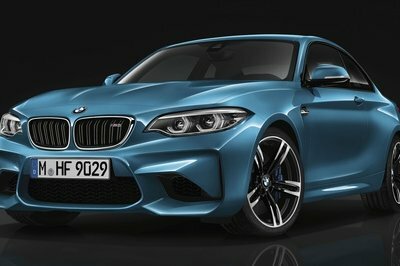 Hints of the same color can also be seen on the section of the roofline that approaches the rear section. These aesthetic treatments are present on the GT-R50 by Italdesign. Curiously, the GT-R50’s interior looks more polished than the cabin of a standard GT-R. There’s no infotainment screen, which largely contributes to the clear aesthetic. The instrument cluster is digital, and there are two different carbon finishes used across the center console, instrument panel, and door linings. Gold details are also present in the cabin, as are black Alcantara and black leather upholstery, the latter two of which are used for the seats. Not surprisingly, the GT-R50 packs a mean punch. It actually packs a meaner punch than Godzilla himself. That’s a credit to the hand-assembled 3.8-liter twin-turbo V-6 engine that includes a smattering of engine upgrades from NISMO. 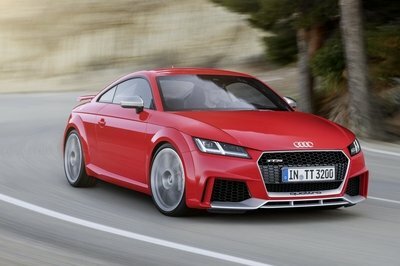 Who’s going to say “no” to larger GT3 competition-spec turbochargers and larger intercoolers? 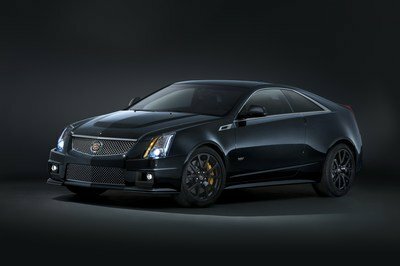 The result is an engine that produces 710 horsepower and 575 pound-feet of torque. 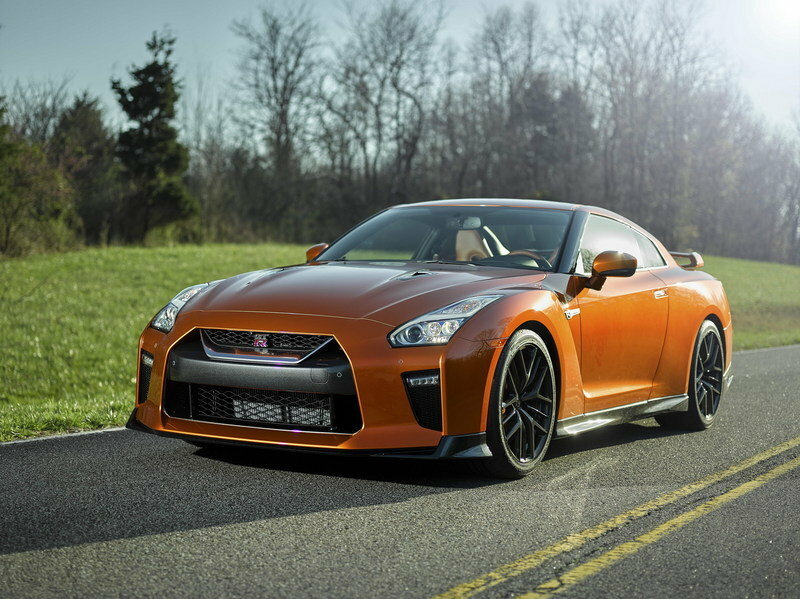 That’s 140 horsepower and a little over 100 pound-feet of torque more than the standard GT-R. 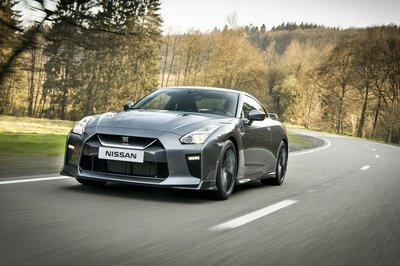 Compare it the GT-R Nismo, and the GT-R50 still boasts a 100-horsepower and 95 pound-feet of torque edge over the suddenly tame-looking, NISMO-powered Godzilla. 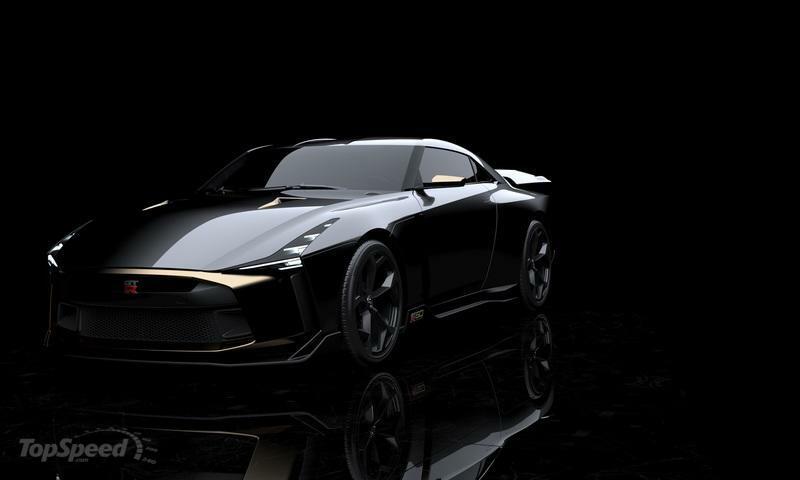 There’s no timetable on when Nissan plans to launch the GT-R50 by Italdesign, but its inclusion in the teaser image is a strong hint that we’ll see the production model in the flesh at the 2019 New York Auto Show. A $1.1 million price tag has already been set for each of the 50 units, so if you’re looking to score one, now’s as good a time as any to start getting your finances in order. The Calsonic livery-wearing Nissan GT-R and the GT-R50 by Italdesign are two of the special edition models that we’ll see in the Big Apple next month. As for the other two that flank this pair, care to wager that those two are probably the 50th-anniversary editions of both the 370Z and the GT-R? I’d put my money on it. Read our full review of the 2018 Nissan GT-R50 by Italdesign. 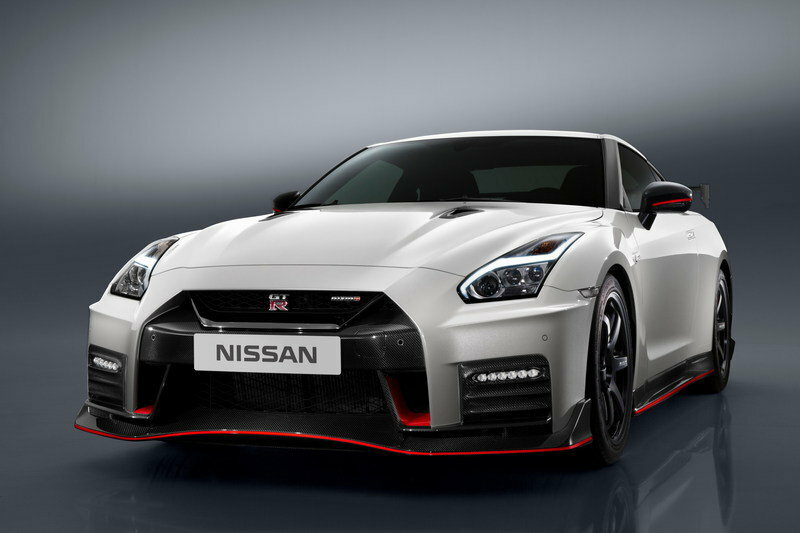 Read our full review on the 2017 Nissan GT-R Nismo.